Multi-media percussion ensemble GLANK (Paul Rudolph, Chris Thompson, Jeremy Smith, Jon Singer, Chihiro Shibayama, and Bradley Kemp) features a variety of magnetic grooves and a large battery of found objects and tuned “metallophones”, struck by some of the finest percussionists in NYC (Alarm Will Sound, ACME, AXIOM, Juilliard Percussion Ensemble). 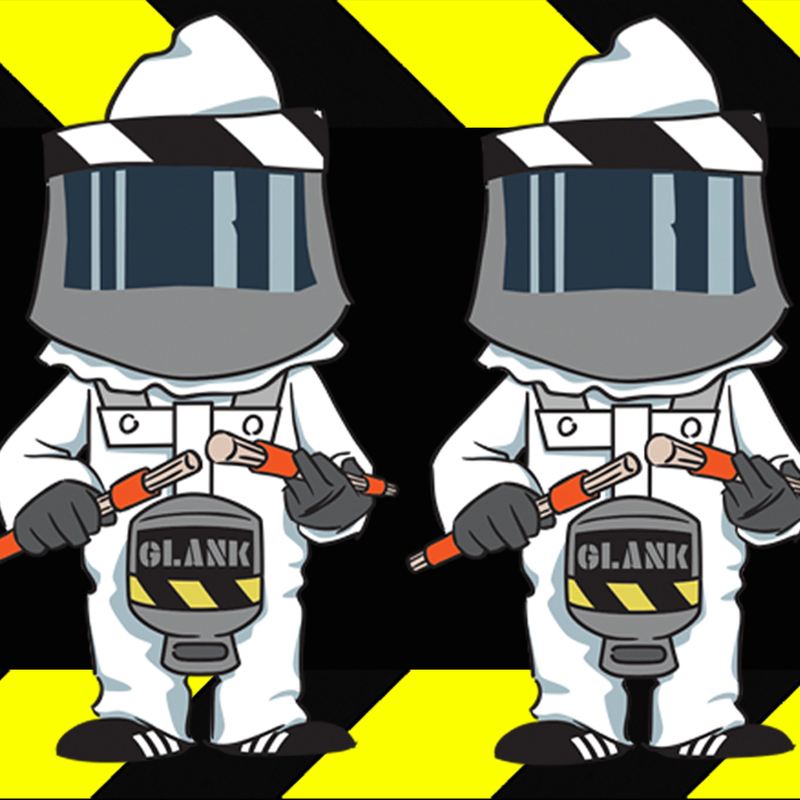 GLANK audiences will join the anonymous performers in identical lab coats and masks, and participate in clapping patterns, plus found-object instrument and psychedelic LED shaker lessons. By the end of the performance the line between audience and performer is delightfully blurred into the feel of a 1950’s atomic lounge.